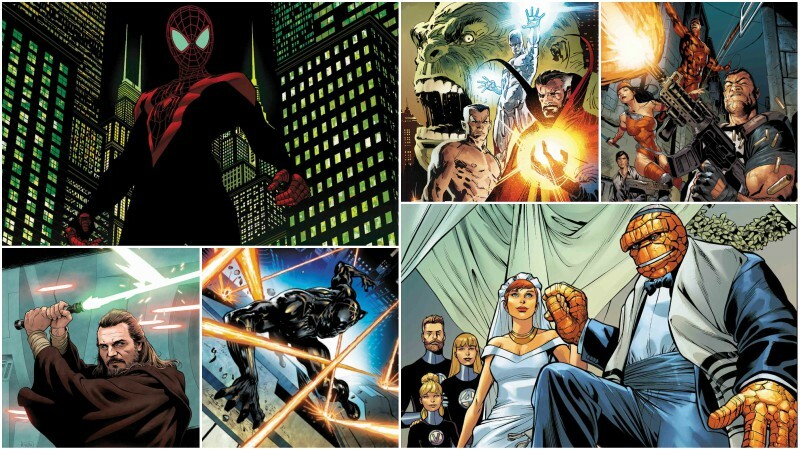 The full Marvel December 2018 solicitations have been released, and in the gallery viewer below, you can now check out all the artwork, synopses and product images for more than 100 different upcoming Marvel releases! RELATED: The Full DC Comics December 2018 Solicitations! Included in the Marvel November 2018 solicitations is the debut of a brand new X-Force #1 from writer Ed Brisson and artist Dylan Burnett. 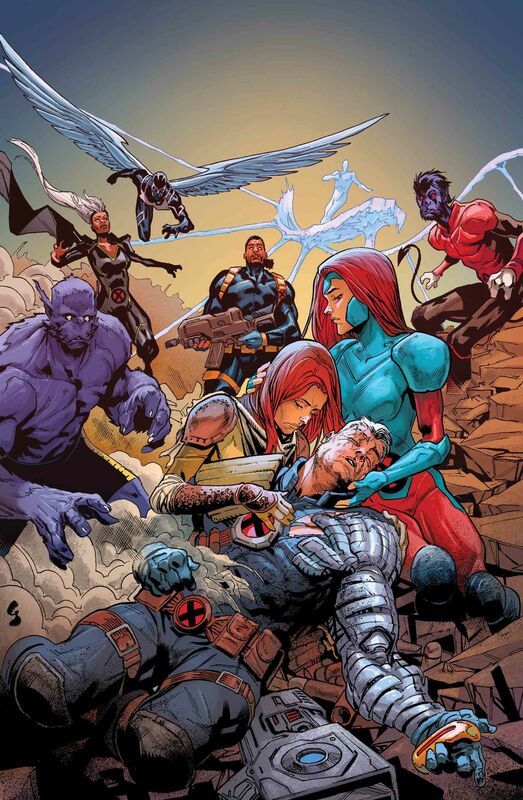 In the series is Cable is dead…and now, the original X-Force team of Domino, Cannonball, Shatterstar, Boom Boom and Warpath. must hunt down the murderer of their former leader! The mutant militia are hot for blood…but when their target is the time-traveling younger version of their fallen mentor, is there a line they absolutely cannot cross? And what does Deathlok have to do with all of it? Also debuting in November is the long anticipated wedding of Ben “The Thing” Grimm and Alicia Masters. No bait. No switch. Not a dream. Not a hoax. And we swear, not a single Skrull around. This is really happening! From the book that brought you the first, best and longest running super hero marriage in comics, we give you…the wedding of Ben Grimm and Alicia Masters! Featuring an untold tale of the courtship of Ben and Alicia. A bachelor party that only Johnny Storm could throw. And a very special ceremony brought to you in the Mighty Marvel Manner. RELATED: The Full Marvel November 2018 Solicitations! Also debuting in November is the start of Star Wars: Age of Republic, Age of Rebellion, and Age Resistance, all of which will tell a series of spectacular adventures featuring your favorite characters from all three Star Wars trilogies. Starting with Age of Republic this December, writer Jody Houser teams with artists Cory Smith and Luke Ross to spotlight four of the greatest heroes and four of the coolest villains from the prequel films during the waning days of the Old Republic. Witness the never before seen moments that define the characters, the incredible battles that shaped them and the eternal conflict between the light and the dark, good and evil! The event begins with Qui-Gon and Darth Maul and continues in 2019 with Obi-Wan, Jango Fett, Anakin Skywalker, Count Dooku, Padme Amidala, and General Grievous. Which of the Marvel December 2018 solicitations are you most excited for? Let us know in the comments below!